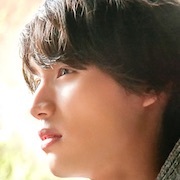 Takatoshi Minamiyama (Sota Fukushi) majors in art at an university in Kyoto. On the train to the school, he sees Emi Fukuju (Nana Komatsu) and falls in love with her at first sight. Gathering up all his courage, he speaks to her. They begin to date and enjoy happy days together, but Emi reveals her secret to him. Based on novel "Boku wa Ashita, Kinou no Kimi to Date Suru" by Takafumi Nanatsuki (published August 6, 2014 by Takarajimasha bunko). 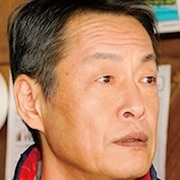 ichiharu Jan 19 2019 11:07 am Ok, just to clarify on xtulthu's post and for everyone who's confused. Also, also, for those who haven't watched yet: SPOILER ALERT. Guy and girl live in parallel realities that somehow converge. Taka's timeline is A->B, Emi's timeline -in her POV- is also A->B. The trick is that the timelines are going in opposite directions. Since we're seeing it mostly from Taka's POV, it does seem like Emi's is B->A. They are both going toward their separate futures. But due to the convergence, they meet at crucial points in each other's lives. As Taka (our POV) progresses to his future, he encounters Emi's past. As Emi in turn progresses to her future, she encounters Taka's past. As an example, when Taka was 5, he met 35y.o Emi who saved him from the lake. At the SAME TIME but DIFFERENT REALITY, when Emi was 5, she met 35y.o Taka who saved her from an explosion. So on and so forth. Haha. Probably more difficult to understand. But, for me, it's less complicated if you see it from both POV separately, rather than seeing it from both POV together. I do have a question though: how and why did Emi and her family come to Taka's reality in the first place? Is it in the novel? xtulthu Sep 09 2018 12:21 am Guys, for those who dont understand : The girl and the boy live in a parallel timeline. The boy timeline is similar to ours. We live remembering and know our past and move forward to the future. The girl timeline is the opposite, she live knowing the future but moving towards the past. So as the guy is getting older, the girl is getting younger. Every new memories that the guy make together with her, is her LAST MEMORIES with him. The day 1 for the guy is day 30 for the girl. Thus, the day 30 for the guy is day 1 for the girl. The guy have all the past memories he had with the girl, but the girl , approaching day 1, cant remember any memories, become in her world shes goin to the past where she have not even met the guy. penelope Aug 27 2018 5:08 am This movie felt unfinished to me? I enjoyed the end but when it really ended, i thought to myself, "That's it?". Personally, I didn't enjoy it but many others enjoyed it. Although, I must say that the actors were perfect and the scenery was beautiful! Saraab Jun 21 2018 7:03 pm I watched this movie it was my first japanese movie i fell in love with every scene but i’m still not sure if I understood what was her secret? Can someone explain? Sensei_R Jan 25 2018 10:05 pm This was a good chance to make two versions or edits of a movie, one of each from both their viewpoints. It would've been a nice thing to do. I remember another movie was once made (don't know what it's called) where the guy and girl's viewpoints were both shown in two separate movies. maine gracia casablanca Nov 25 2017 3:06 am Once more I'm amazed but entertained by this movie. It's not my first time to watch a Japanese movie or drama so I can only say that the idea of such a relationship between Emi and Takatoshi can only come from a Japanese writer or novelist. Why? Because the thoughts, feelings and how the story runs through is often, if not always, one of a kind. After watching, you can pause and reflect about what you saw and heard in the movie. You come out thinking and sifting through ideas, and later draw some conclusions from your own thoughts and emotions. I feel better as a person not just a dumb viewer of an ordinary show. And it's not only in this movie but after many others I've watched. Arigato to the producers and the performers. A very fresh storyline and intriguing at the same time. Sweet and confusing at first but when everything was pieced together at the end, I cried. What a touching movie! FromPHwithlove Nov 06 2017 5:09 am Am I the only one who thought this movie is a little confusing? Oh please, tell me I'm not the only one. T_T well, I don't know but there are really parts which are confusing for me..the loop, the "his future-her past"..
Don't get me wrong, tho. I did enjoy the love story and I loved how Nana achieved looking like a grown up here. I loved their acting and they have chemistry. Eve Sep 27 2017 12:40 pm I really want to read the novel. But cant find an english version of it. I found a chinese version of the manga. hopefully it will get more recognition so it will be translated. Zenna Sep 22 2017 8:08 pm My words cannot describe how much I enjoyed this movie! Such unique story! I am amazed by its idea and I really love the acting. I want to read the novel too, I've never heard about it until now. Japanese people are so creative and wonderful! athena Sep 11 2017 10:00 pm the story is unique,charming and makes you do the math at the same time.I'm not Sota's fan but the storyline made me watch it. Nana's acting is getting better though . Carina Aug 12 2017 10:21 pm I really like this kind of movie. The OST, the story, the cinematography. It also not "too much" like other Japanese movie (This movie looks like some indie movie which is my favorite). Can anyone suggest me a beautiful movie like this? Diana Jul 26 2017 12:03 pm Woah... I'm always amazed on how creative Japanese movies are. How can they come up with such an idea? It's extraordinary. Halfway through the movie I've came up with all the possibilities theories on what secret actually she was hiding (from "she had serious illness that cant be cured" or "she actually came from the future" or something ridiculous like they were actually brother and sister.) But all my theories are wrong. Not even close. It's just a simple reason, but you cant predict that. Seriously, whatever you were thinking, I guarantee your theories also wrong (except for those who already read the manga). The answer is really unpredictable. 11/10. SO DAMN LOVE IT!! 100% RECOMMENDED. lostintheabyss Jul 20 2017 3:58 am The scene really hits me hard; when Sota's character realize that many of the "first time" stuff he's done with her is her last time doing it. manyfires Jul 17 2017 12:52 am Love the story line. Very unique and original. I stumble upon the movie while flying from Japan. Complex story line but very beautiful... makes you appreciate what we have today and hold on to it and not take things for granted. Ashu Rao Jul 08 2017 2:56 am I just loved this movie. if u watch this movie in theater have to watch at least 2 to 3 times to understand the movie. very different fantasy movie with cute love story. dandahlian Jul 06 2017 11:16 pm This is a beautiful and brilliant movie. Deserves more attention because it isn't the typical romance we get to see in most dramas nowadays. Tbh. The plot is so great and unique, though I have to admit that's it's complex and you might need to pause the movie midway to think it through. Haha. The acting is good and can we talk about the OST? (Happy End by back number is a painful yet beautiful song. Check it out after you've watched the movie!!!) Don't hesitate to watch this, unless you don't want to have a headache and a heartache at the same time lol. Nick Beacham Watts Jul 06 2017 6:47 pm I am so please to read your comments. Sky_UI I felt my hear warming especially to yours. 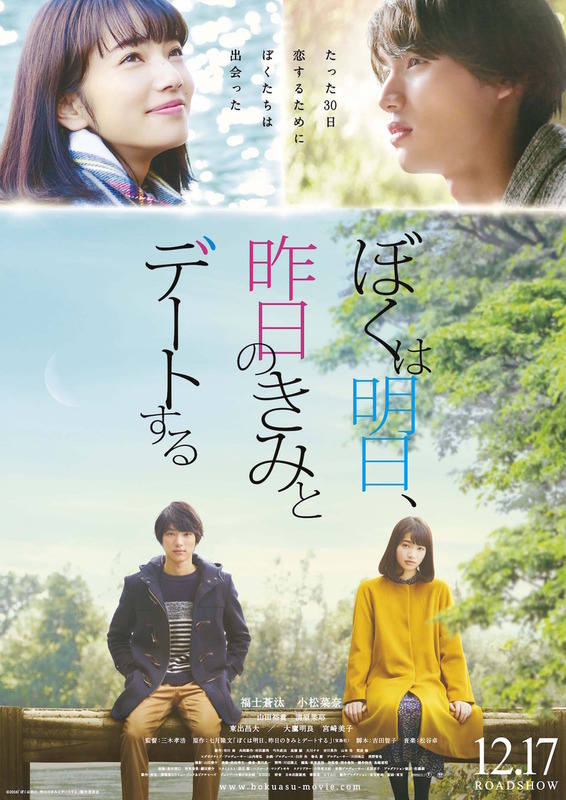 Sota Fukushi is great in other doramas - Strobe Edge and Love Relationship etc. Japanes dramas are very special. I just watched Mars today too, what a coincedence! Wonderful acting and chemistry. I hope Emi's secret isn't too sad but her tearing so readilly tells me it may be. 人 Jul 05 2017 11:17 am This movie is so great. Props to the producers and the main leads. Sky_IU Jun 26 2017 6:58 pm Can I just say that this movie is beyond amazing. Movies that focus on or has plot related with "time" (you know what I mean) always get my full attention. When the "secret" slowly unveils, I suddenly got "intellectually" involved, that I had to pause every time something important(related to the secret) is uttered by the main leads, so I can fully understand everything. It doesn't "spoon feed" all explanation to the viewers, you gotta be really into it if you want to enjoy it and understand it. Their portrayal are good too, not too over the top, just smoothly. Japanese movies(most) don't fail my expectation tbh. The movie has a slight(1%?) similarity with "The Curious Case of Benjamin Button" film, but entirely different plot. Karen Khoo Jun 20 2017 3:09 am The most similar look alike for Sota is Taishi ok.
Nana looks like black pink lisa and sota is very handsome I like him???? isola Apr 24 2017 2:22 am Watched this movie yesterday and it is sooooo touching! I love how the movie is told from Takatoshi's POV until the very end when it shows it from Emi's POV. Prepare some tissues if you are one to sob in the cinema when watching a melodrama. Spoiler: Nobody died so don't get the mindset of those typical Korean storyline where someone gets a terminal illness. This is a Japanese movie. Anyway. Hey! It's Aoi-kun from Koinaka. byie Aug 12 2016 4:28 am Sota doesn't can't act, he's just act differently haha btw i'm on him, i'm on all his project. I think they're cute together, and i got their chemistry. Can't wait to watch the whole movie!! lead casts completely different to what i imagined but still anticipating! yy Apr 25 2016 11:10 pm I think Sota did best in Koinaka dorama. He could find peace acting with Honda Tsubasa and more mature than his previous film (maybe bcoz they have acted together in Enoshima Prism before). 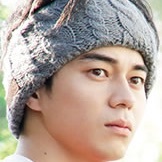 But I do believe Sota might not be the best actor because his expression seems all the same. His acting can be bland sometimes. Meanwhile, I just have watched Komatsu Nana in Kurosaki-kun TV special. Her acting is so-so but she's very pretty, her eyes especially. Just wait for this to be a good movie, anyway. blah Apr 17 2016 1:58 pm @suegar: well i've watched As the Gods Will and Close Range Love already and i still think their acting is awkward. actually those are the 2 films that made me think so. i'd say Nana did her best in Kawaki, not Close Range Love. momo Mar 23 2016 8:10 am I wonder about this movie, since the main girl is Nana Komatsu..
suegar Mar 19 2016 6:28 am I saw some snippets of them on tumblr, and guys, let me just tell y'all they really look good together. And I am very excited for this movie. Those who say that Sota and Nana cannot act, should totally check out Library Wars, As the Gods Will and Close range love. tif34 Jan 22 2016 8:42 am handsome + pretty = PERFECT Gonna watch this movie for sure ! Annandale Jan 15 2016 7:21 am Love both of them...this is definitely a watch for me.